Encourages more individuals to bake for themselves, manage their own tezos, learn more about the protocol and participate more in the community. This would add another dimension of personal investment beyond merely financial. I think reducing the roll size will bring a sizable new group of bakers in addition to helping decentralize the protocol. This would be a net positive for protocol and community. 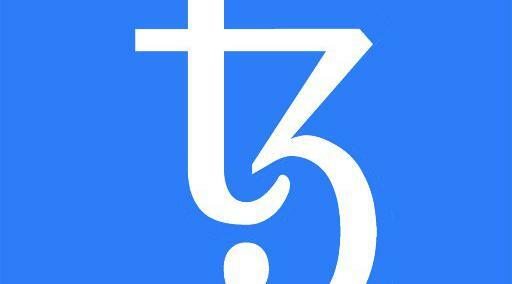 The Tezos community needs to be pressured in order to get stronger. Safe choices will never be enough for Tezos to develop as a governance platform. Reducing the roll size will reduce the initial cost to become a baker and will encourage bakers from 3rd world countries to enter the network. Lower roll costs increases decentralisation and participation, and these directly cause the value to rise. Lowering Roll size could have a positive impact on the price of XTZ. Lessening the amount of XTZ required for self baking could cause additional buy volume to enter the markets as more participants are able to enter at lower cost requirements. This could ultimately cause the value of the new roll size (8,000) to equal the value of the old roll size (10,000) in terms of USD. 10,000 is a nice round number for clarity and ease of calculations. This is admittedly a small factor, but so is changing the requirement by merely 20%, to 8,000. It would make network and then TPS slower due to increased tiny sized number of nodes. We have seen network slow downs due to unprofessional work by some bakeries. Opening up baking operations to average users might cause big effects on network stability. Every missed block by a baker results in a network delay, longer block times, and lower ROI. For first vote best to focus on simple non-controversial update to protocol as main goal is to test out the entire process of community voting both on-chain and off. For example existing bakers might not have a strong consensus on the roll reduction which will add controversy to our first vote. As such it is better to only increasing gas limit at this time. Reducing the roll-size is desirable in the long-term. However, it would be premature to make Tezos clients track a larger number of rolls until "obvious" optimizations are implemented first (disk storage, mempool, etc.). In addition to that, there has been no quantitative study about the impact of this parameter change. Stakeholders should require candidate upgrades to meet this requirement when submitting tuned protocol parameters. It feels right to reduce roll size it at a price point 1 XTZ > $1.60 when most bakeries started to operate. It would be preferrable if tools (and documentation) for running, monitoring and managing a bakery were much improved before lowering the roll size requirement and onboarding more bakers. Potential investors are waiting to see how the voting system works before buying XTZ, so a lot of market credibility is on the line. The lower risk proposal would be the better and simpler proposals have lower risk. Consistency of the baking system is important to attracting new bakers. Voting for a change to the baking system will send a signal that the chain is not interested in keeping the baking rules consistent. Baking is a serious operation. rather not mess with this , LPoS is beautiful with very low barriers to entry for new nodes. would rather prefer to drop this whole concept of an internal second "token" (=GAS) of ethereum! Why not making amendment to smart contracts and make it possible that they work without Gas--- look at stellar or waves blockchains. no need for an internal Gas concept. Or what is here the technical advantage of having GAS? The cost of a roll is historically low. If the plan is to reduce it now because it costs too much, we will have to revisit the roll size again when price increases. Changing aspects of the network based on price is a slippery slope. Reducing roll size is too early. Tezos is cheap right now and still confidential. Anyone who wants to bake can do it. So size roll is not an issue yet. In other hands, keeping a stable network and pro bakers is needed to prove that governance is working.